To showcase good practise, Campaign are publishing the best case studies. Their first case study to be published is EasyJet and Havas Helia’s for triumphing in the Data Creativity category for their data-driven work on the airline’s 20th anniversary. 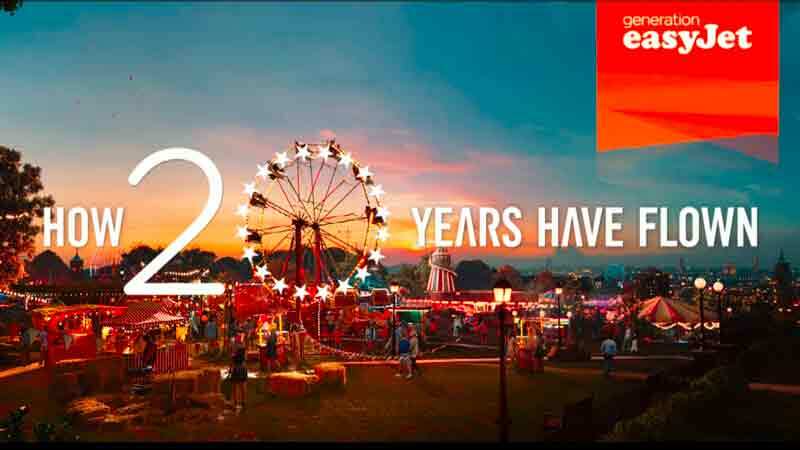 To celebrate EasyJet’s 20th birthday they wanted to do something that involved their customers, as opposed to the usual chest-beating, self-congratulatory communications. They looked into their data to find personal nuggets of information about their customers’ journeys over the last 20 years. The use of data allowed them to create emotional stories that not only brought their customers’ travels to life, but only intertwined the brand and customer story to create a shared history. The result? They created entirely personalised emails (a series of 12 modules) with dynamic copy, images and links to tell each customers story from their first ever EasyJet flight to their flights to come. Including some interesting facts about their travel behaviour and personal recommendations for future trips. They saw open rates over 100% higher than that of their average easyJet newsletter. Across all markets, 7.5% of easyJet customers who received the fully personalised version went on to make a booking in the next 30 days.